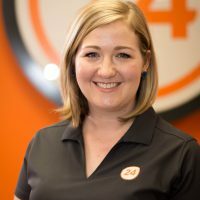 24 Foundation is thrilled to announce the hiring of Tiffani Evans as Communications and Marketing Director and Caroline Arey as Communications and Marketing Coordinator. 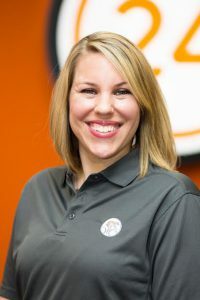 Prior to joining 24 Foundation, Evans worked at A M King for 10 years where she most recently served as marketing manager and led branding and strategic initiatives. In her spare time, she is also a professional photographer, specializing in engagement and wedding photography. Evans graduated from Wilmington College in her native Ohio with a bachelor of fine arts degree. She lives in the South End neighborhood with her husband Mark, dog Gabe, and cat Suzie Q. 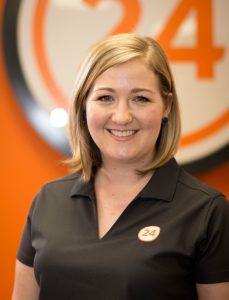 “We are thrilled to have Tiffani [Evans] and Caroline [Arey], who are great additions to our team and will play a key role in communications efforts for our organization and fundraising events,” said Mallory Walsh, executive director of 24 Foundation.